This newsletter is dedicated to the partners implementing the Pad for Pad program across India. We are sharing feedback, stories and pictures to show you how the partners enabled the program to have a positive impact on girls and managed to spread it throughout the country. "The idea that Project KHEL had tried to sow in the young minds about periods being a pure and natural process and definitely not dirty, was further strengthened by the beautiful cloth pads that Eco Femme manufactures, because something this beautiful (the pads) can only be there to manage something equally beautiful (periods)." "When the girls were told the “market” cost of the pads and they were free they were absolutely elated. One student exclaimed "Akka [big sister] - we are so lucky! I cannot believe this!" The girls were excited by the discreet nature of the foldable pad and were all beaming with pride as they left school with their new present tucked into their school bags, eager to tell their sisters and mothers about their new pads." Principal and female teacher noted concern of kits being delivered for free as girls were known to throw their old cloth in the bathroom but they thought they were a brilliant concept and would inspire pride with their pretty colours and fabrics. The girls were all prepared to pay what little they could and some were even alarmed they had no money. Kavya approached Eco Femme to help her achieve her vision while she was undertaking a 1 year SBI fellowship in South Tamil Nadu in 2014 – 2015. "'A spark has been created by Kavya akka’s presence', according to a progressive school teacher Mr. Singaravel. He feels that once they try to keep up this momentum, more opportunities can be built for girls and women to come out of the shells they were confined to." Why: Maya from Shakyamuni Buddha Clinic in Bodhgaya contacted us 1 year ago after hearing about this program from a friend. She believed it would be a great value addition to their already existing health education program for adolescent girls who come from very impoverished backgrounds. They were convinced that reusable pads would be a better solution than disposable pads - they had also identified rashes and RTI's as quite common and hoped the cloth pads would help. 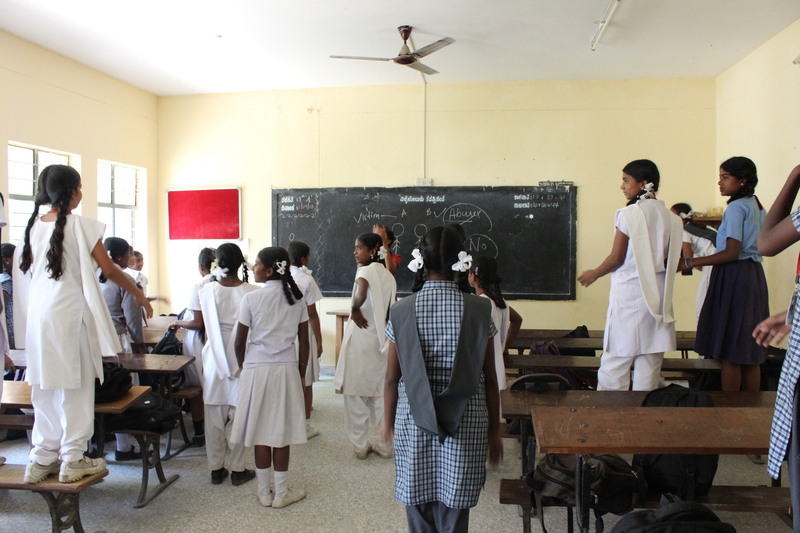 One of our newest partners is Youth for Seva – we were contacted in June 2015 by Smita a volunteer with YFS who was interested to introduce MHM awareness as part of their school programs with adolescent girls. 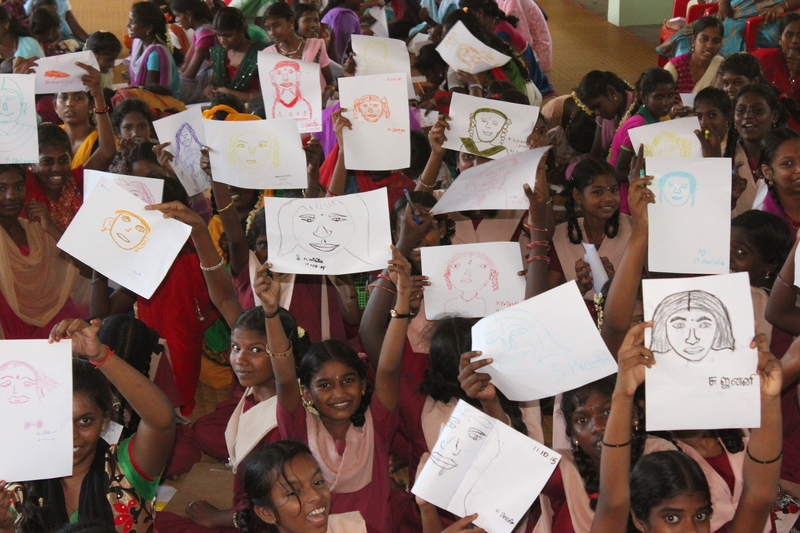 They are yet to evaluate the session but would like to reach out to 300 girls in remote areas of Karnataka and are confident this approach of education and eco friendly pads provide a good solution for the girls. We hope you have enjoyed reading about some of the different motivations and ways the pad for pad program is changing girls lives. About 50% of the total number of girls we reach is via implementation partners – the rest we directly reach out to from our office. While we have only profiled the work of 5 partners here today, we are actively engaging with 12 partner organisations throughout the country. We welcome our new partner LSN Foundation in Hyderabad. We also have just begun to work with WASSAN in Telangana and NMT academy in Mumbai and are preparing to launch the program with a pilot in February with both these new partners. In our next newsletter mid year, we plan to share the results of a baseline survey where we are monitoring behaviour change in 300 adolescent girls related to their experience of participating in the sessions we directly deliver. Thank you to all our partners and donors who have invested so much into making this program a success. 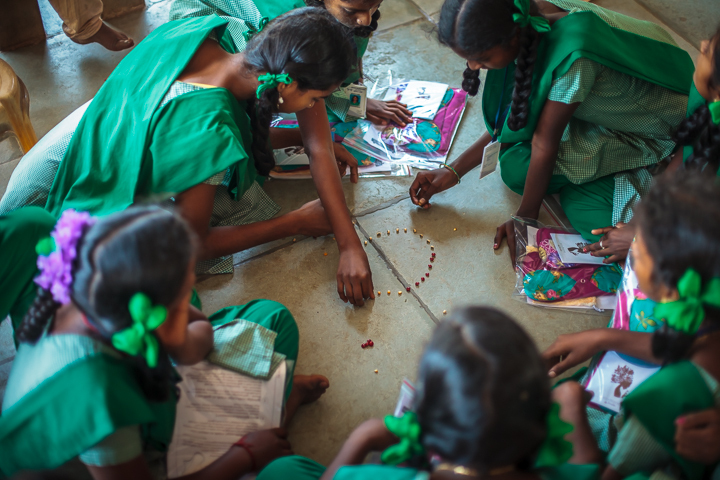 Your donations and efforts make it possible to positively impact the lives of girls across India by transforming their experience of menstruation. Copyright © 2016 Eco Femme, All rights reserved.